The Anaerobic Threshold (AT) is the physiological point during exercise at which lactic acid starts to accumulate in the muscles, which occurs around the point during increasing intensity exercise that anaerobic processes become more dominant. For this reason it is also sometimes called the Lactate Threshold (LT). Other names describe a similar point, such as the onset of blood lactate accumulation (OBLA) and maximal lactate steady state. Although these terms are often used interchangeably with anaerobic threshold, they are not technically the same thing. 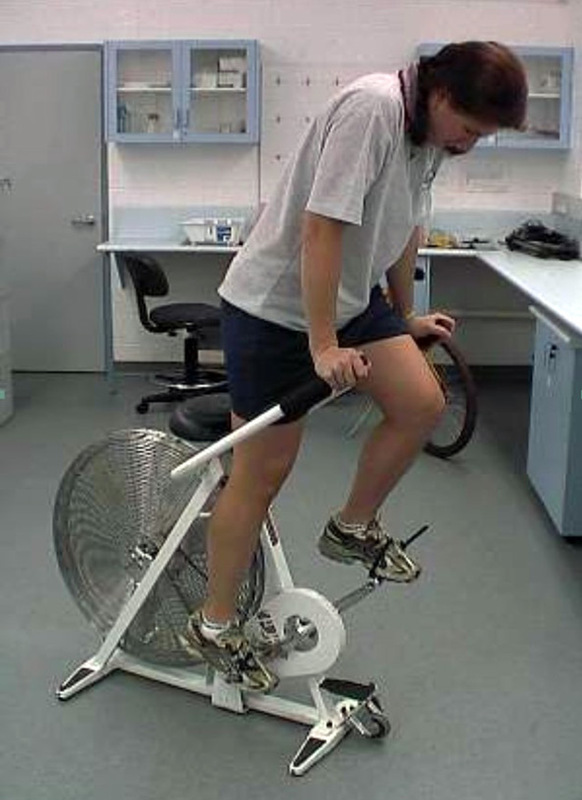 There are several possible ways to measure anaerobic threshold, some more simple than others. Formula — well-trained athletes may use as a rule of thumb "210 minus their age" to indicate anaerobic threshold. Another formula is 85-90% of maximum heart rate (220-age), which usually gives a lower value. Either method provides a very rough estimate, and one of the following methods would be more reliable. Steady-State Heart Rate — a good approximation of the anaerobic threshold is the mean heart rate during a long duration race (e.g. 10km run, 30km cycle). Graded Exercise Test with Blood Lactate Measures — requires taking blood samples during exercise and measuring blood lactate levels at a range of intensities, and plotting the lactate and intensity to determine the point of deflection/rise. Conconi Test — a somewhat criticized test using a similar graded exercise test measuring only at heart rate, and determining a deflection point on the heart rate / workload graph.